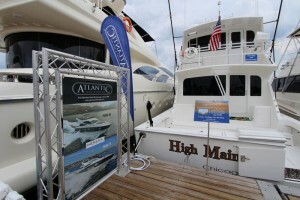 2015 Palm Beach Boat Show : Atlantic Yacht & Ship, Inc.
Will you be coming by the 2015 Palm Beach Boat Show? Here is everything you need to know. 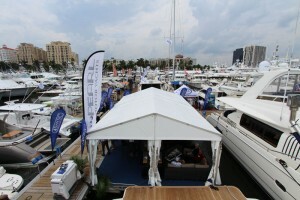 The 30th Annual 2015 Palm Beach Boat Show, March 26 – 29, 2015, is one of the top five boat shows in the country – featuring more than $1.2 billion worth of boats, yachts and accessories from the world’s leading marine manufacturers. It is truly an International Show. The event includes hundreds of Boats from 8 foot inflatables, power boats, fishing boats, center consoles, bow riders, personal watercraft to superyachts over 150’. Show entrances will be located at Evernia St./Flagler Dr. (waterfront) and North Clematis St./Flagler Dr. (waterfront). Tickets are $20 at the gate for adults (or $18 if pre-purchased online), $10 for children ages 6-15, and children under 6 are free. Of course, if you contact your favorite Atlantic Yacht & Ship broker and he may be happy to get you in for free! March 26 – 29, 2015 Thurs. Mar 26, 12 Noon – 7pm Fri. Mar 27, 10am – 7pm Sat. Mar 28, 10am – 7pm Sun. Mar 29, 10am – 6pm At this years 2015 Palm Beach Boat Show Atlantic Yacht & Ship will have several yachts on display in addition to our reception barge which serves as a meeting place for our clients. 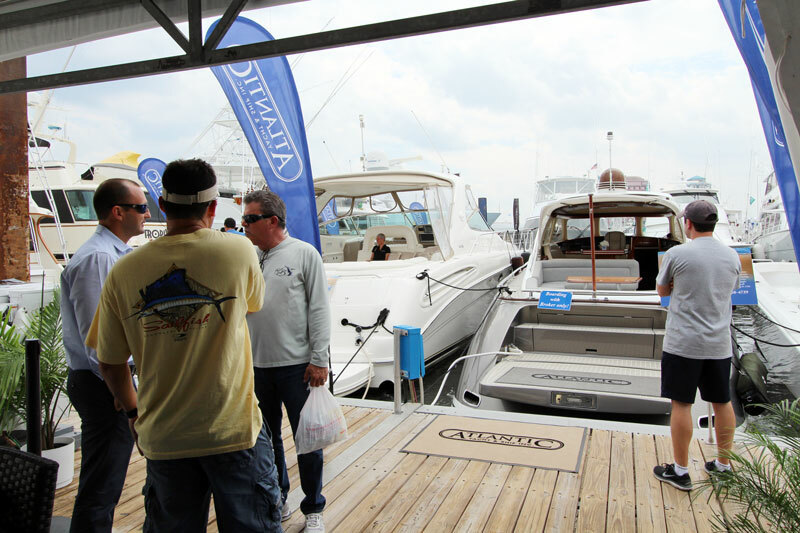 A few of the boats that we will have on display at the show include a 100′ Azimut, 75′ Princess, 69′ Hatteras, 65′ Viking, 60′ Egg Harbor, 54′ Sea Ray, 44′ Zeelander, 41′ Bahama, 31′ Custom, and more! For more information about the show or the yachts that will be on display be sure to contact us today or call us at 954.921.1500!